Paperback and eBook Available Internationally Through Amazon. 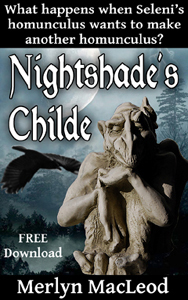 Enter the realm of Briares, where secrets and treachery stalk the innocent. Come meet…. SELENI – Impatient, impulsive, innocent. The nuns locked her away and taught her to be a lady. She’s now returning home to Castle Tammerlane, determined to abandon all the pretty manners and hateful gowns in favor of breeding and training warhorses for the Knights of Briares. TALOTH – Eccentric, mad magician. Disillusioned with the life of a knight, he now refuses to fight. He’d rather live in a crumbling Keep, pour over his books to learn new spellwork, and talk to animals rather than to people. MORVEN – Arrogant, scheming sorcerer. Desperate for immortality, he’s willing to destroy Seleni and all she loves to get it. Unfortunately, Seleni doesn’t even know he exists. THE GODDESS – Manipulative, interfering, invisible. Seleni may prefer to be elsewhere, surrounded by horses and knights, but the Goddess gives her no choice: Gwytholde needs a Priestess, and Seleni will serve whether she wants to or not. When Seleni’s guardian is murdered, who is left to help her? An ex-knight who will not fight, a very angry warhorse, and young Seleni herself, who has no idea that the goddess Gwytholde is about to turn her life upside down. For Seleni’s home is no longer peaceful or prosperous, and marauders are gathering at Briares’ borders. 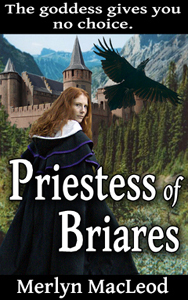 Her beloved knights have been without guidance since the loss of their last Priestess to an evil sorcerer. That sorcerer is back. Morven will stop at nothing in his quest to control the power of the Goddess herself, and Seleni has no idea how to destroy him. What happens when Seleni’s homunculus wants to make another homunculus? To get the FREE applications to read using these devices, just Google for “Free Kindle Apps” and follow the link to Amazon.